Ain't no party like a re-read partay! Hey!! Ho! Hey! Ho!...Ok, now that THAT is out of my system let's get down the good stuff! 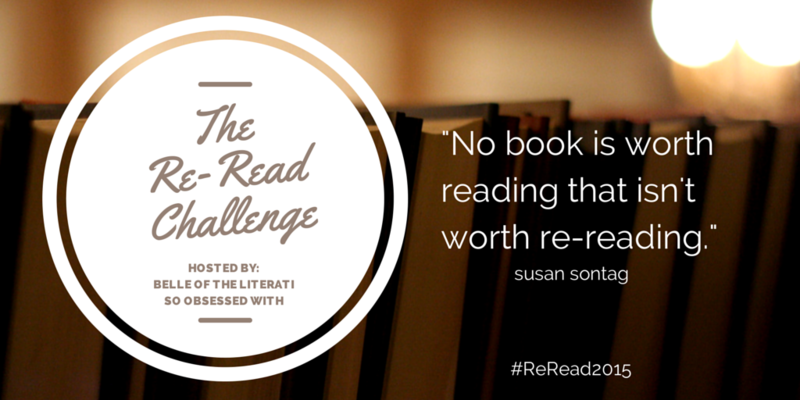 This is my OFFICIAL intro post for Hannah and my Re-Read Challenge of 2015. I am overwhelmed by how many of you are excited about this and ready to participate!! Eeep!! Confession that isn't really a confession: I love to re-read and I legit have way too many books I plan on diving back into this year and I'm a little embarrassed as to how many I'm willing to commit to. Seriously, cannot WAIT to re-read these bad boys. 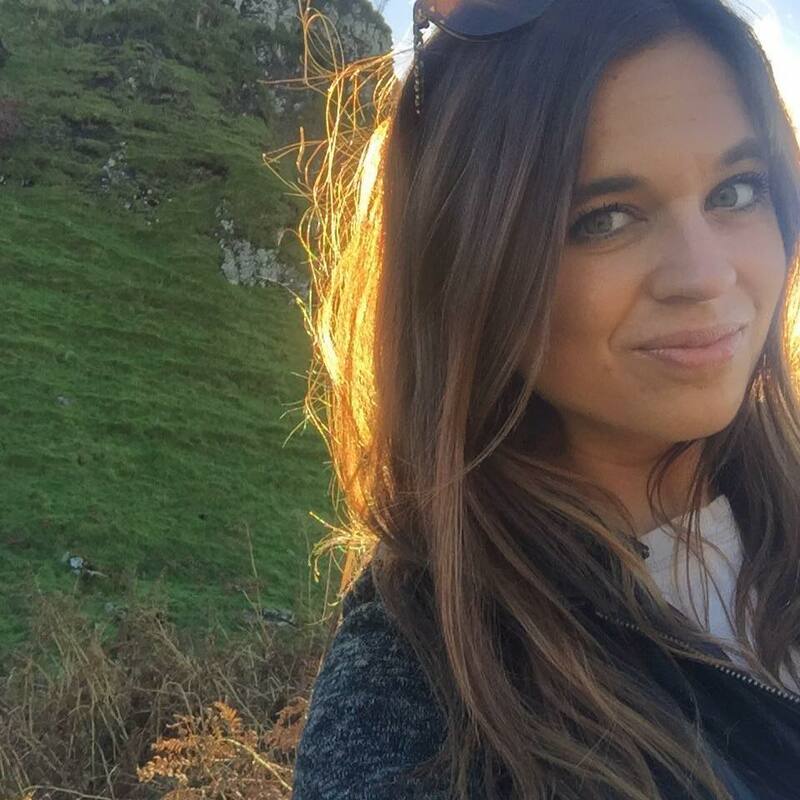 Sidenote: If you have no idea what I'm talking about, check out this post and sign up here on Hannah's blog if you want to participate! And don't forget, if you don't have a blog but you DO have a Twitter or Instagram or Tumblr, just use the has tag #ReRead2015 and you can still participate and have fun along with us! Without further ado...here are my books I plan to re-read this year!! Ok, so that right there is 28 books total but I plan on reading 36. Three re-reads a month I think I can handle. What are you guys excited to re-read this year?! My last challenge (oh my gosh I'm doing 3!!) 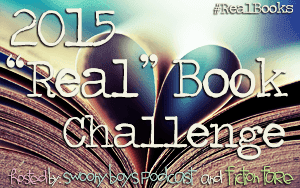 is Jaime and Erin at Fiction Fare and the girls at Swoony Boys Podcast Real Book Challenge. It's all about reading physical books rather than e-books and I LOVE this! I am so excited they are doing this again because I loved keeping track of my real books versus my e-books. Are you guys participating in any challenges? Any fantasy books you guys can suggest I read?! I re-read about 30 books in 2014 and plan on re-reading more this year. Woo-hoo! Yay for challenges and stuff! Good luck on all your challenges Kelly! 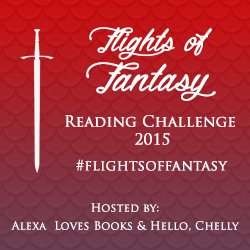 I'm also participating in your re-read challenge (which I am SOOOO excited for) and the Flights of Fantasy challenge :) I'm excited to read some more fantasy this year and some of the books have definitely come from your reviews! !